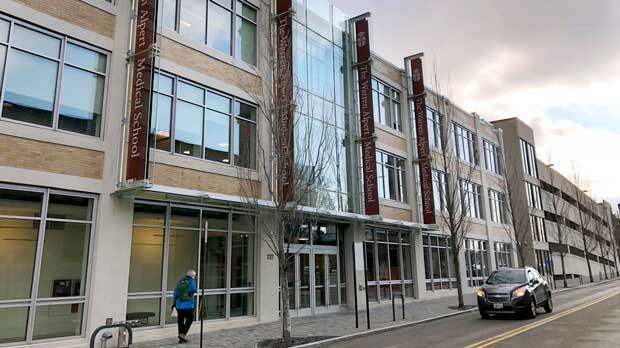 PROVIDENCE, R.I. (AP) — An advocacy group has asked federal regulators to investigate Brown University’s medical school, arguing it is violating the law by using live pigs for training in emergency medicine. The Physicians Committee for Responsible Medicine on Tuesday asked the U.S. Department of Agriculture’s Animal and Plant Health Inspection Service to investigate animal use at the Warren Alpert Medical School at the Ivy League university. A medical school spokeswoman said she didn’t know about the complaint and didn’t respond to questions about the use of pigs. The school’s website says its residency education includes hands-on animal labs. The committee advocates for eliminating the use of live animals in any medical training and promotes the use of human-body simulators instead. Proponents of animal research argue it is crucial to scientific breakthroughs and for furthering medical science. Many emergency medicine residency programs in the United States and Canada use only human-based training methods, such as medical simulation or cadavers, according to the committee. Brown, in Providence, violated the federal Animal Welfare Act because alternatives to animal use exist, so using pigs for emergency medicine training is not justified or unavoidable, said Dr. John Pippin, director of academic affairs for the Physicians Committee. He also contends the school’s animal care and use committee does not properly oversee the use of pigs for the training, which would also violate the act. The committee is not looking for the university to be penalized in any way, Pippin said; rather, it’s hoping to motivate Brown to pay attention to the information the committee provided.